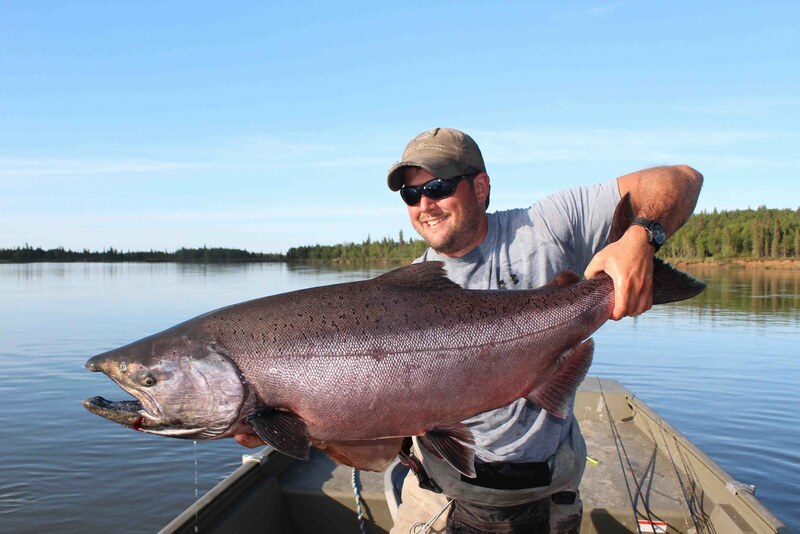 The Bristol Bay Region has the largest salmon runs in the world! 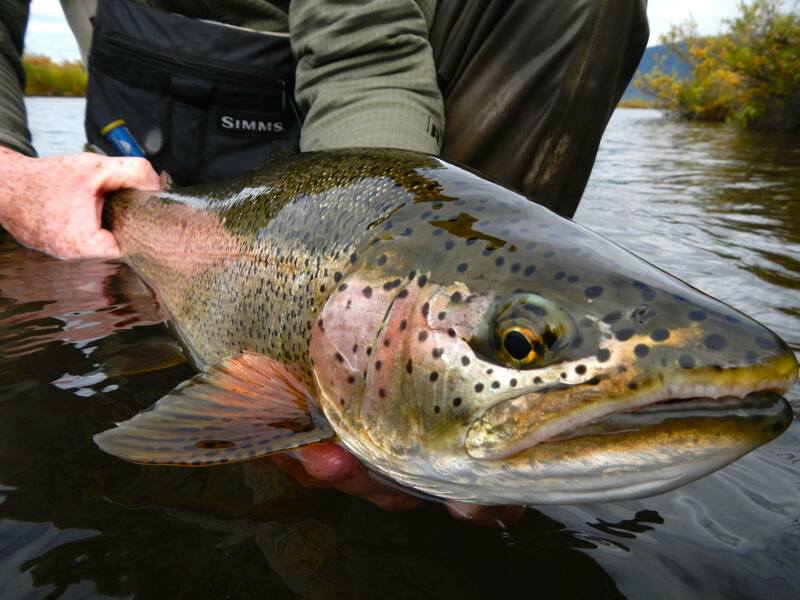 Nowhere else on earth will you find such a wide variety of sportfish. And the sheer numbers of fish that this fishery supports is mind boggling. 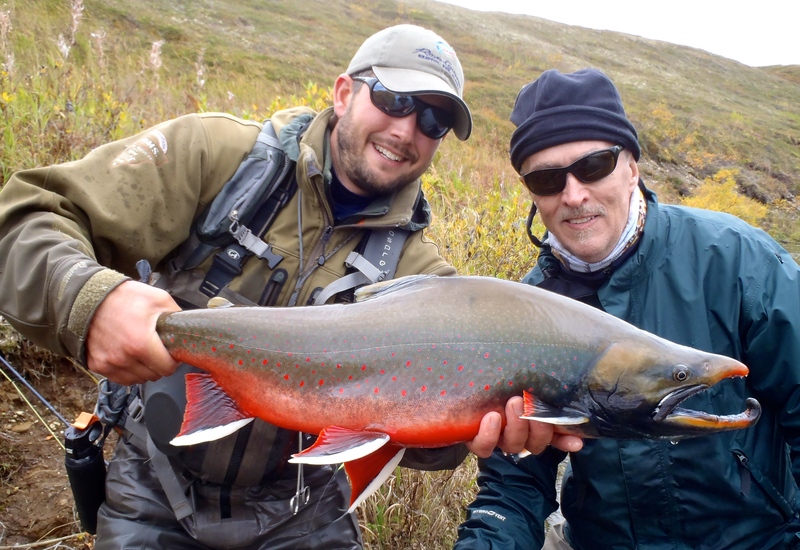 The area around the Royal Coachman lodge in Alaska that we fish contains all five species of Pacific Salmon: Kings, Silvers, Sockeye, Chum, and Pinks, along with seven species of freshwater gamefish, Rainbow Trout, Dolly Varden, Arctic Char, Arctic Grayling, Northern Pike, Lake Trout, and Sheefish. 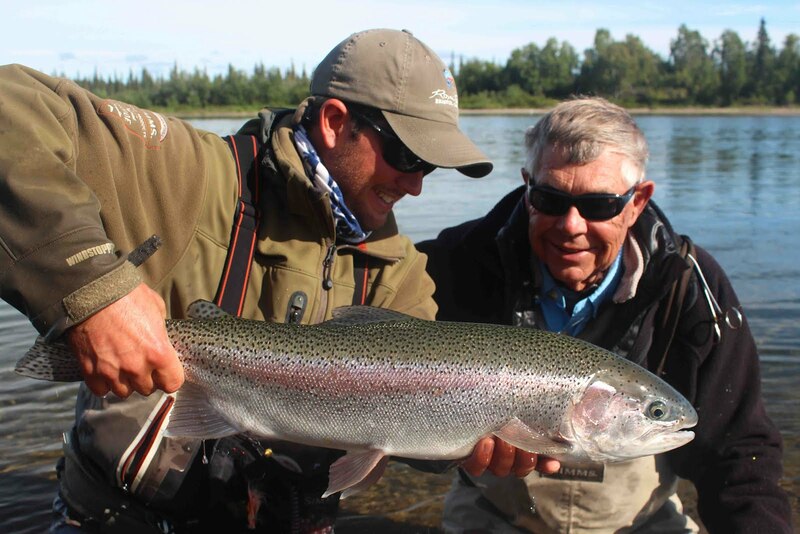 A trip to the Royal Coachman Lodge, a fishing lodge in Alaska, is quite simply whatever you want it to be. Our guests fish a variety of waters from very small streams to large rivers, lakes, and the thoroughfares that connect them. By maintaining outpost camps, and boats with jet units scattered throughout the region, and because of the variety of waters, private leases, and exclusive use permits held by the Royal Coachman Lodge, we can assure you of the best fishing the region has to offer every day! And all of our fishing destinations are remote and UNCROWDED. Most of the time we will be the only anglers there. Whether you’re an expert fly fisherman or beginning spincaster, you will find the angling adventure that you’re looking for. And you’ll catch a lot of fish! 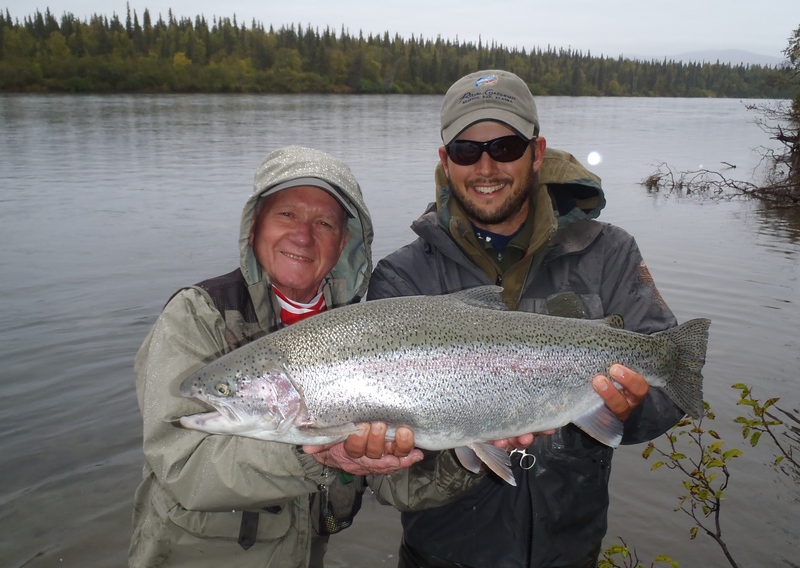 The Nuyakuk River is a fantastic river to fish! 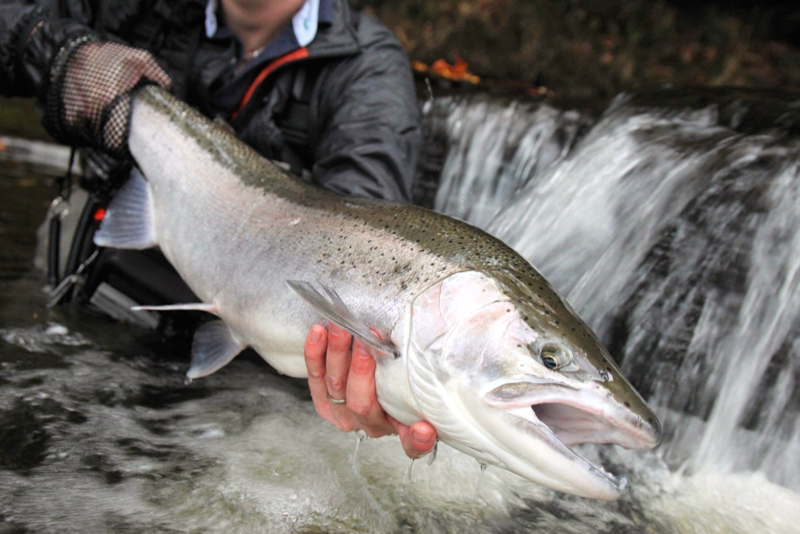 It is routine to see schools of spawning salmon from the Lodge, and Grayling rise in the Lodge pool almost constantly. 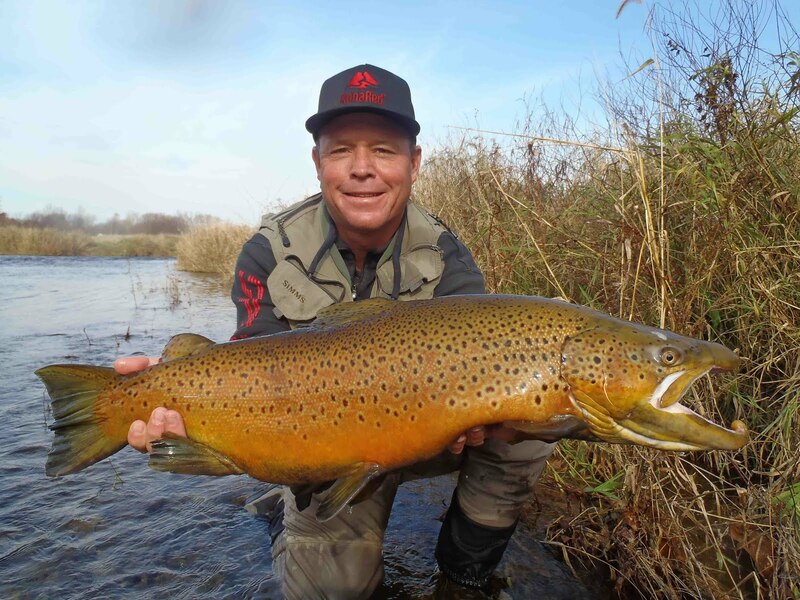 On our home river we see other anglers only once or twice a season, usually rafters passing by from some remote location, and it offers our guests exceptional fishing right from the Lodge. We keep a number of boats at the Lodge, and downstream below the falls. We can access 75 miles of wilderness rivers right from the front door. 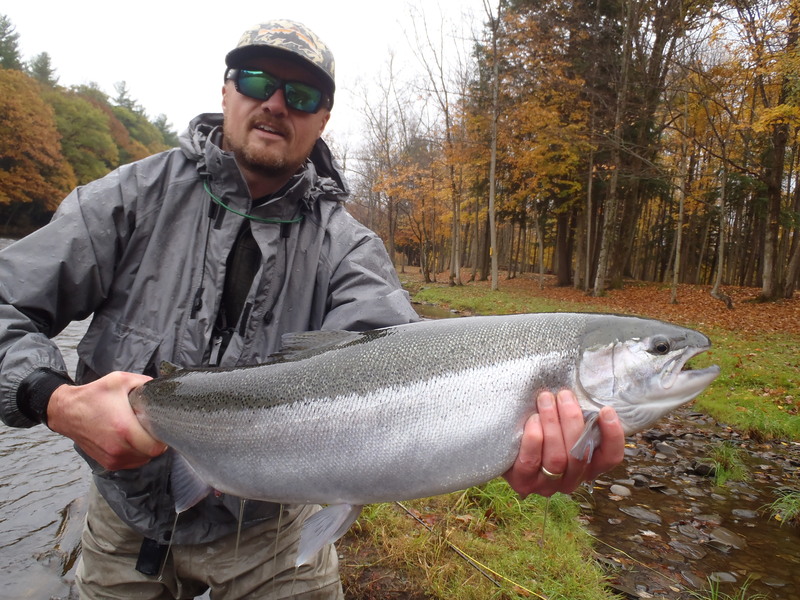 With no large lake and four-foot whitecaps to contend with on rainy and blustery days, you and your guide will have great fishing on those rare days that weather makes for unsafe fly-outs. This means that we do NOT push the weather. This is a major consideration when choosing your angling destination. You never lose valuable fishing time to weather, and you and yours are NOT placed in potentially dangerous situations. There’s nothing more frustrating than sitting out a storm at a fishing lodge in Alaska while NOT fishing! It just doesn’t happen at the Royal Coachman Lodge. 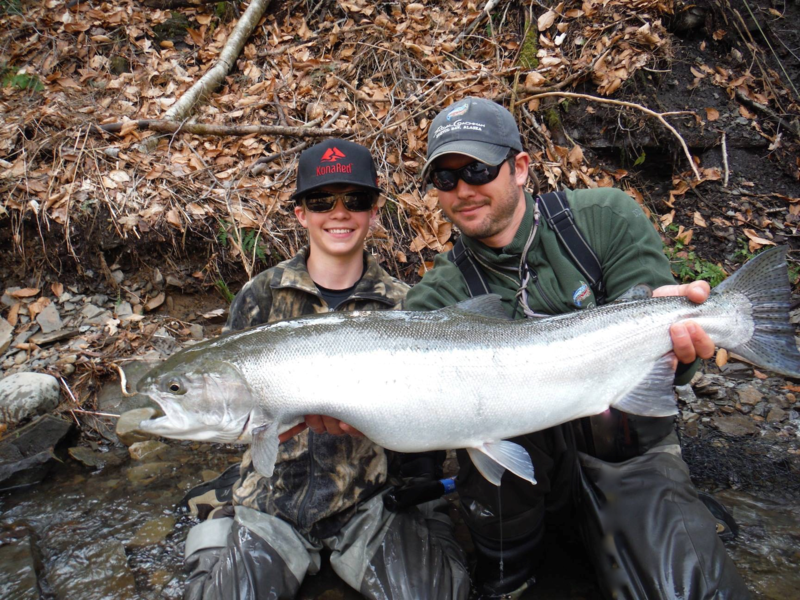 Please contact Salmon Country Guide Service if you would like to find out more about fishing in Alaska.